The essential summer dress for style and comfort on the beach or in the city. A quick-dry, lightweight, loose fitting women's dress. 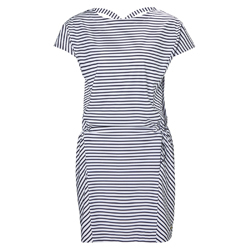 The essential summer dress that suitable from the sea to the restaurant or out on town in style and comfort. Super light and made out of quick-dry stretch material with a feminine relaxed fit to style your own way. Great over the bikini or dress up with heels and some nice accessories for the summer party.